Perhaps the best view of the town is from the cliff path to the south. 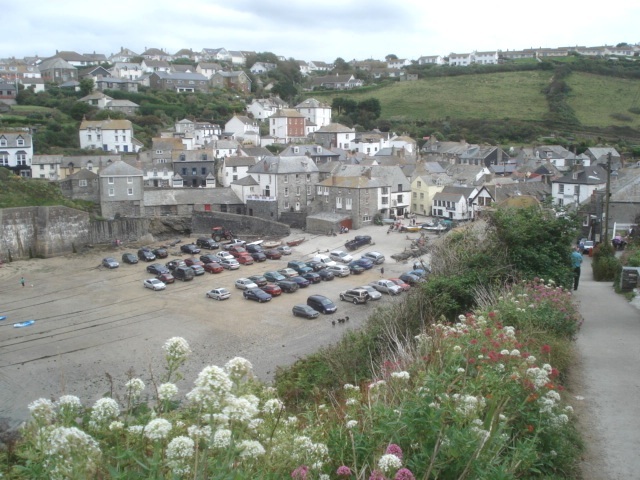 The top of the beach is used as a car park for those who like squeezing through the narrow streets to get there. Timing is important as the high tide does cover this area.